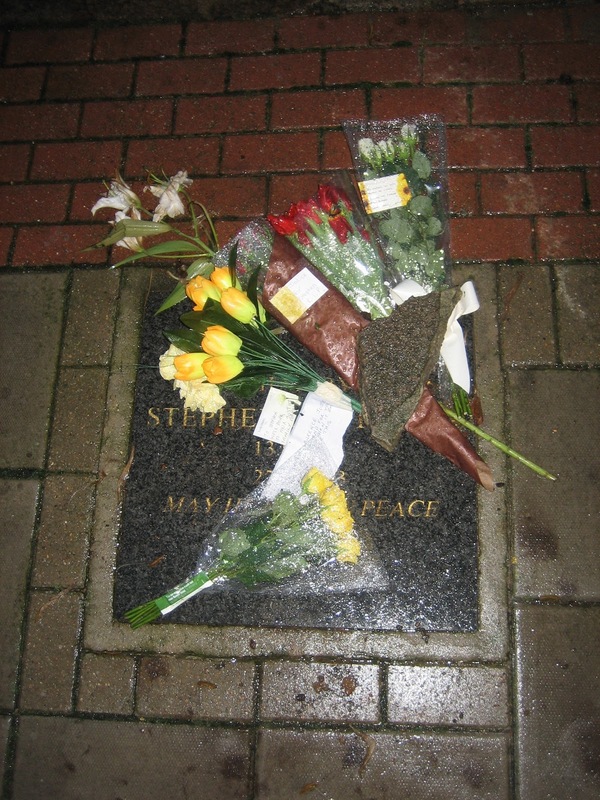 These have become grimly familiar sights here on Well Hall Road ever since Stephen Lawrence was murdered 18 years ago, and they gathered there today for what may now thankfully be the last time. "Have you got any ID? What are you, press?" Well local press of a kind yes. Why? "I'm security for the family"
"We don't know who you are with your hood up"
"You haven't got any ID? Where's your ID?" He seemed angry but confused. Four police officers began to approach and then he was gone. Were the police about to join the interrogation? No it was my new friend that interested them. What had he been saying to me, they asked? Who was he? To be honest I was hoping they could tell me. Apparently he'd been hanging around all day. He seemed harmless they said, but I wasn't so sure. I decided to leave. 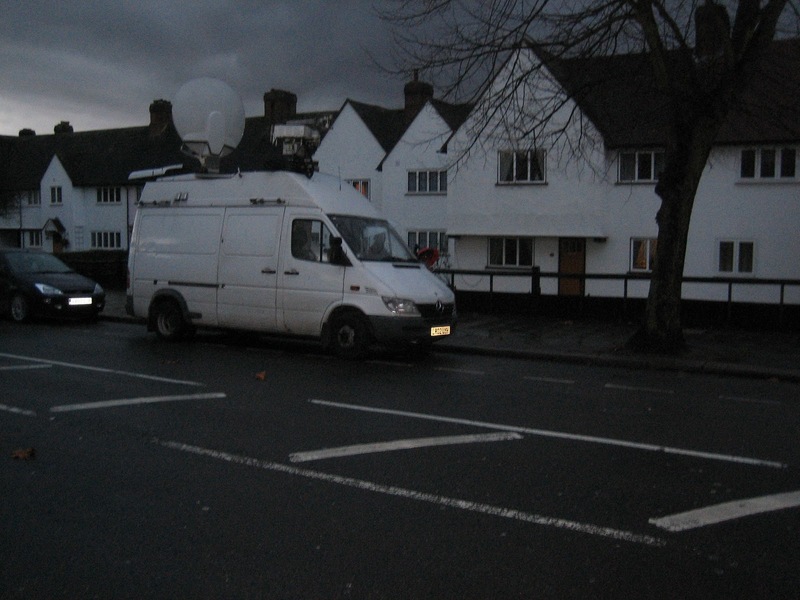 With the conviction of Dobson and Norris, the satellite trucks will move away to some other tragic location in some other part of London. But two decades later, feelings about Stephen Lawrence's murder still run high. And here on Well Hall Road, it will take many more years for us all to move on.